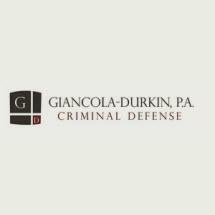 If you live in the Twin Cities region of Minnesota and you or a loved one stands accused of any type of felony or misdemeanor offense, you owe it to yourself to contact Giancola Durkin, P.A., in Anoka for the aggressive and effective defense counsel you deserve. Each of our law firm's lawyers, Mark Giancola and Rory Durkin, possess extensive trial experience in both state and federal courts, and Mr. Giancola is certified as a criminal trial specialist by the Minnesota State Bar Association, and he is one of only a handful of attorneys in the state to hold such certification. In addition, Minnesota Monthly magazine voted Mr. Durkin as one of the Best Lawyers for DUI Defense in 2016, and our law firm has earned widespread recognition as one of the leading criminal defense practices in the region. Over the course of our history, we have achieved unprecedented success securing acquittals, dismissals and not guilty verdicts for our clients, and we promise to do whatever we can to help you obtain the favorable outcomes you expect. Our law firm has successfully handled virtually every type of criminal case imaginable, from relatively simple DUI charges to capital murder, so you can rest easy knowing that we will be able to help you with your case regardless of how serious or challenging your situation may be. To begin the process of receiving the highest level of advocacy and support possible from a local attorney devoted to protecting your rights and preserving your freedom, you can contact Giancola Durkin, P.A., by calling our law office or visiting our website to schedule a free initial consultation concerning your matter.